Our theological task is both individual and communal. It is a feature in the ministry of individual Christians. It requires the participation of all who are in our Church, lay and ordained, because the mission of the Church is to be carried out by everyone who is called to discipleship. To be persons of faith is to hunger to understand the truth given to us in Jesus Christ. Theological inquiry is by no means a casual undertaking. It requires sustained disciplines of study, reflection, and prayer. Yet the discernment of “plain truth for plain people” is not limited to theological specialists. Scholars have their role to play in assisting the people of God to fulfill this calling, but all Christians are called to theological reflection. Our theological task is communal. It unfolds in conversations open to the experiences, insights, and traditions of all constituencies that make up United Methodism. This dialogue belongs to the life of every congregation. It is fostered by laity and clergy, by the bishops, by the boards, agencies, and theological schools of the Church. Conferences speak and act for United Methodists in their official decisions at appropriate levels. Our conciliar and representative forms of decision-making do not release United Methodists as individuals from the responsibility to develop sound theological judgment." As Methodist people, we are all charged to apply ourselves to working hard to come to grips with the truths surrounding our doctrine and belief. We are not allowed to simply push the responsibility for serious consideration off onto our clergy, bishops, conference delegates, and lay leaders. We are to think for ourselves, to pray and read and encounter scripture for ourselves, and discern our own understanding of the truths within our faith. As individuals, we are called to be serious and rigorous in our engagement with God, the scriptures and our doctrines, moving deeper than simply listening to the words of scripture to struggling with their context and meaning. In 1 Corinthians 13:11 Paul calls us to mature behavior, saying “When I was a child, I used to speak like a child, reason like a child, think like a child. But now that I have become a man, I’ve put an end to childish things.” I believe that this admonition challenges us to move beyond a simplistic engagement with the words of scripture. Several times in #GC2019 and in the commentary that followed, people pointed out an attitude of biblical interpretation that can be summarized as “The Bible says it. I believe it. That settles it.” As rhetorically satisfying as that stance might be, I believe that it is simply not compatible with the Theological Task as described in Section 105 and is therefore not Methodist. Others might choose that approach, but not us. You may ask why I am comfortable in arguing against the validity of a literal interpretation of scripture and rejecting the rules within the Discipline that conflict with my understanding of the rights of clergy and LGBTQAI+ people within our denomination. Are rules only acceptable when they match my personal point of view? I hope not. I believe the issue of biblical interpretation flows directly to the core of who we are as a people. I believe that we simply cannot embrace a system of biblical interpretation that is so inconsistent with the Theological Task described in the Discipline and that limits the ability of individual Methodists to develop their own understanding of doctrine. It might be possible to do such a thing and remain Christian, but we cannot do such a thing and remain Methodist Christians. I also think it is critical to distinguish between literalism as a theological stance and literalism as part of growing in holiness. When a person is beginning to engage scripture for the first time or with a renewed desire to encounter God, it simply is not possible to start anywhere else other than a literal reading of the Word. Reading the words on the page helps us begin to form the picture in our mind and forms the base from which we can apply our other sources of learning. Valid scriptural insight can emerge this way, and, as a group, we must make space for literal interpretation because of that. It is the rejection of any interpretation other than the literal that I believe strays away from the Methodist way. This paragraph of the Discipline calls us into a community engagement of doctrine. As we work hard to form our own opinions, we are charged with discussing them with other members of the Body of Christ. The daily life of every congregation is to include dialogue and debate about the important issues of the day and how our doctrines address them. These discussions also require the presence of maturity because they simply cannot take the form of coercive speech or angry rhetoric. In 1 Corinthians 3, Paul sternly corrects the Corinthian Christians for childish infighting and jealousy over differences in the teaching of Paul and Apollos, calling their behavior “unspiritual.” He reminds them that they all belong to Christ, and that their behavior should reflect that. The final sentence of this paragraph is the most convicting for me in the context of #GC2019. 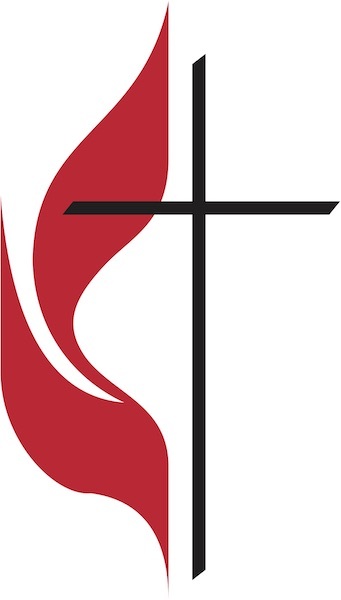 As individuals and congregations, we are not “let off the hook” by the decisions of the General Conference, the Judicial Council, or any of the various legislative, episcopal, legislative or organizational bodies of the UMC. Rather, we are charged with scrutinizing their work and speaking up when we agree or disagree. We are responsible for sound theological judgment, and when we feel that one of our representative bodies has moved away from that, we are called on to take action.